Moments with the Mays: Griffin is ONE! 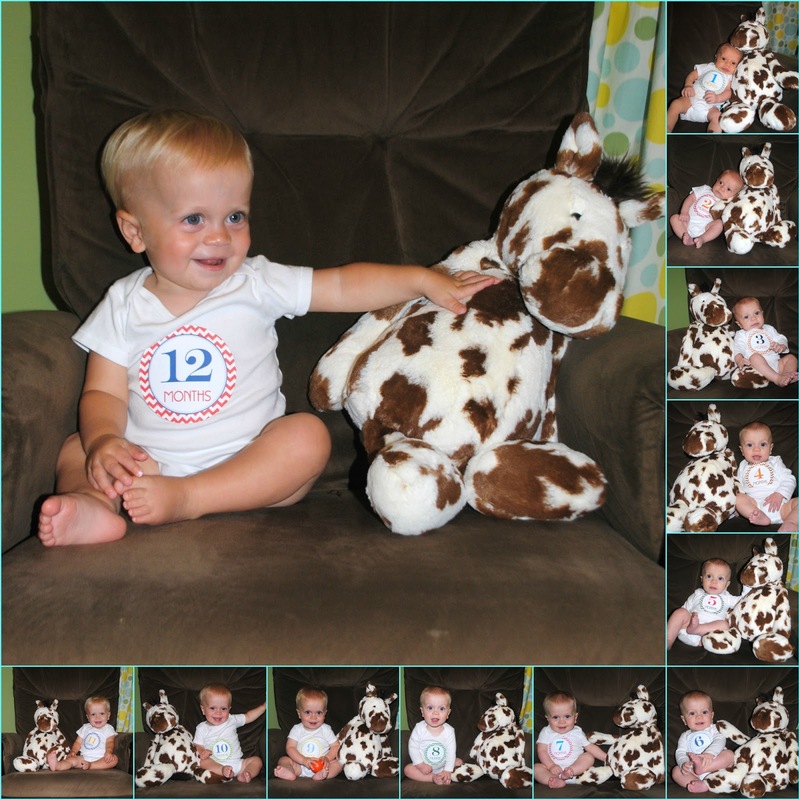 Griffin is 11 months old! I can't believe that a whole year has passed since I met you & held you in my arms for the first time. From the moment I laid eyes on you, I was in love. You made my heart double in size. I remember sitting in our hospital room just an hour after you were born and studying you. Every little inch of you was perfect. 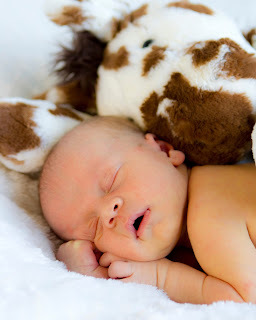 I couldn't believe that we had another precious little boy. This past year has been a crazy one. I have loved watching you grow, learn new things, & develop a relationship with your big brother. I think that has actually been the highlight of your first year. You & Grayson have such a special bond and I hope you boys are always close. You've taught me a few things, too. I now know to never say never (hello, former cosleeping baby) & that nursing can be a great experience! 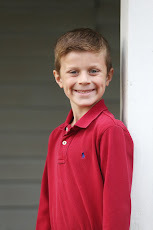 Griff, you have the sweetest disposition and a contagious smile. You are the happiest baby and people comment on that everywhere we go. Your big baby blues & happy grin can light up any room. I think you know those eyes can also get you whatever you want! Your personality is really starting to come out & you are so much fun. You are so laid back but have learned how to voice your opinion! You are our fearless, strong-willed, adventurous one. You already keep us on our toes! We love you to the moon & back, little boy! Griffin, you are ONE today!! Eating: the biggest change over the past month is that you are off formula and bottles completely! We started you on whole milk a few weeks and you did just fine! We slowly dropped the bottles and now you get a sippy cup of milk in the morning and before bed. You still think meal time is the best time. I haven't really found anything that you refuse to eat. You'll try anything which is so nice! You also think that you need to have everything that anyone around you is eating. You screech and reach out for everyone's food until they share. Right now your favorites are blueberry waffles, watermelon, bananas, grapes, grilled cheese, & animal crackers. You are such a great eater & eat more than your almost 3 year old brother on a regular basis! Sleeping: Remember when you were a TERRIBLE sleeper? Man, I am so glad we turned that corner. You are a pretty great sleeper now and that makes me very happy. You dropped your morning nap really easily about a month ago. This has made life pretty easy in the mornings! You take a nap from about 1:00-3:30 every afternoon. This month we also did "go to sleep on your own" boot camp. You rocked that too! It took a few days of you crying but you did so much better than we expected! Our new bedtime routine is bath, read 2 books, & lay you down. You go to bed around 7:30 & sleep until about 6:30. You sleep with your monkey lovey & lots of pacis! You got TWO more teeth this month! You now have 8 teeth; 4 on the top and 4 on the bottom. Not only do you go UP the stairs but you can now get back down. You are talking SO MUCH MORE. You babble constantly but do have a few words. You say dada, Jack, dog, & see. Music! You love to dance & bob your head when we listen to music. It's so cute! pushing any of your push toys! riding in your police car cozy coupe & opening and shutting the door. the dogs, as always. You wait for them by the back door & shout "dog! dog!" when you want them to come inside. Mama leaving the room or going anywhere away from you, for that matter. when G doesn't share his snacks. You get SO mad! Happy FIRST birthday to the sweetest, snuggliest, & cutest little blonde baby boy! We love you, Griffin! HAPPY BIRTHDAY GRIFF! I can say that I have enjoyed watching you grow up in tandem with Ollie Beans. You seem like kindred spirits. I know people think I am nuts when I refer to you as "Ollie's IG twin". Now you and your mommy and I need to set up a facetime session because HOW AWESOME WOULD THAT BE. iPads would EXPLODE from cuteness. Have a great one, dude! Happy Birthday Griffin! I have loved watching you grow up. Hopefully one day all our kids can get together and play, Laura. I never realized how little Griff was until this post. Connor, 9 months today, weights 19.6! Where did our babies go??? Happy birthday Griffin! Happy birthday sweet lil blondie boy!